A new analyst may hear the term “Apples to Apples” used a lot in their first finance job. What does it mean? 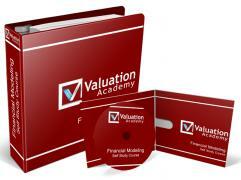 In any sort of assignment that requires of the valuation of an asset, operating or non-operating, multiples are important because they show relative value. In a situation where the analyst does not calculate the multiples himself, he may conclude on a value using an incorrectly specified multiple (a failure of apples to apples). For example, imagine the Director of Corporate Development at Apple is considering the acquisition of T-mobile to vertically integrate its iPhone offering. The director phones the MD at Morgan Stanley asking him for some multiples in the wireless carrier industry and the new analyst at Morgan Stanley is thrown on the task. The analyst opens up his database and calculates the transaction multiples using historical earnings data of the acquired companies and the total price of the transaction including all excess cash. The corporate development director at Apple receives the multiples, and assumes they measure the multiple of the total firm value void of cash. He opens up the T-mobile 10k, multiplies the earnings by the multiples he was given and adds the amount of cash to T-mobiles balance sheet to get and idea of how much Apple is expected to pay out for the entire company. In this scenario, the Director of Corporate Development was using an incorrect multiple in his analysis. He added the cash on T-mobile’s books to arrive at total price Apple should pay for the company when the multiples that the Morgan Stanley analyst computed already took cash into consideration. The Director at Apple double counted cash, paid too much for T-Mobile, shareholder lawsuits found the management team at Apple to be incompetent, and Tim Cook had to step down. There are an infinite amount of possible examples for apples to apples, and you’ll likely follow this rule unconsciously every day. Because of this, the apples to apples rule may be the single most important rule in finance.